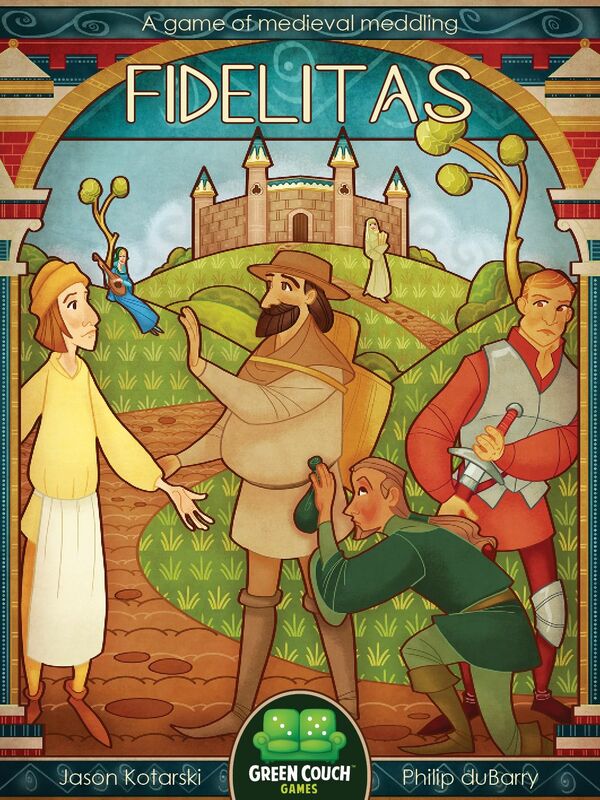 In Fidelitas, players take on the role of faithful citizens in a medieval city who are exerting influence in order to gain the credibility needed to lead the charge against the corrupt crown. Players play character cards to various locations that make up the city in order to meet conditions of hidden objectives. Each type of character card is associated with a unique action that manipulates cards in the game: the Butcher bullies other characters to new locations, the Student gains more cards, the Soldier keeps the peasants from loitering too long, etc. In this game where keen maneuvering is key, attentiveness to the opposition may uncover hidden motives that seek to foil your bid for power. The first player to gain a certain number points (depending on the number of players) is determined worthy to lead the revolt and also wins the game.